It's truly the most wonderful time of the year, and our range of Christmas lights, trees and decorations are designed to spread the seasonal spirit far and wide. This is our home of all things Christmas; including all of the inspiration you’ll need to make your Christmas lights display dazzle this year. 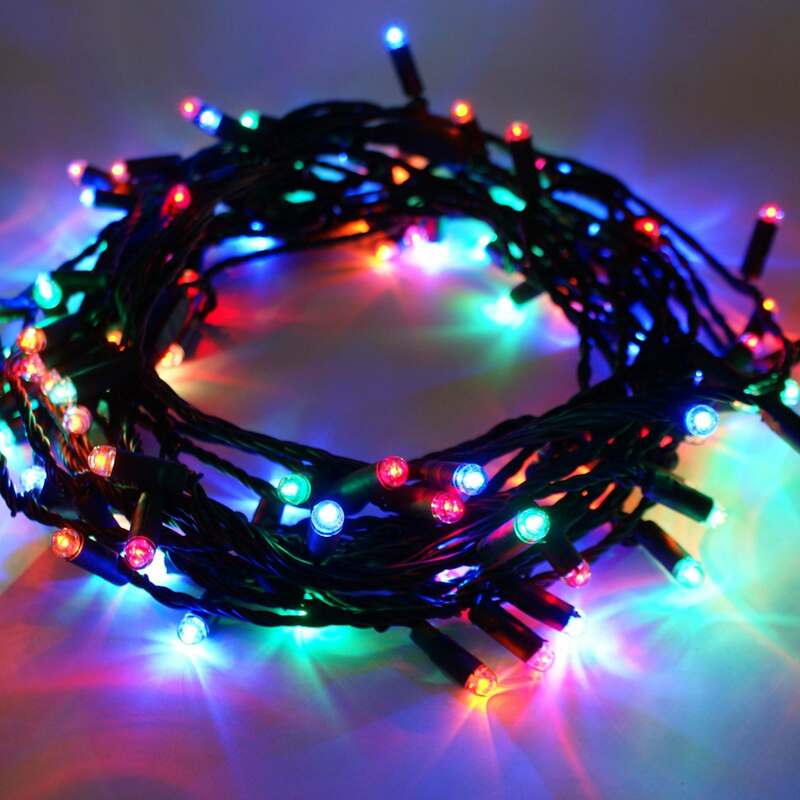 We have an extensive range of all things Christmas lights, whether it’s indoor Christmas lights or outdoor Christmas lights, we’ve got you covered. It doesn’t stop there, though. We’re also proud to offer a broad variety of artificial Christmas trees (including pre-lit trees) and Christmas decorations too. Christmas lights are decorative lights used in the celebration of Christmas during the festive period. They come in a variety of colours and lengths, and can be used either indoors or outdoors to decorate the house and garden, and for large seasonal displays at Christmas time. 2018 Christmas lights and decor trends have taken a step into the future this year. We’re now proud to be sellers of the Twinkly Light range - app controlled Christmas lighting, allowing you to create your own colour scheme and lighting displays. All our lights contain energy saving, safe LED’s too, that can safely be hung on artificial trees or real trees without the risk of getting too hot, but saving money at the same time. If you’re seeking a more minimalistic look, why not opt for a completely white trend, keeping things bright, simple and impactful. Rainbow decor, in contrast, is also hot in 2018; why not try mixing different colours of Christmas fairy lighting around the tree and using brightly coloured baubles and tinsel. Christmas is now arguably as much a cultural celebration as it is a religious one. Some traditions are still very much tied to the commemoration of the birth of Jesus Christ though, including the practice of putting up Christmas lights and decorations. Originally these were mostly based around the nativity, but more recent practices are often more generic, though red, gold and green are still the most common colours at Christmas, and these do have religious significance. Nowadays it’s hard to imagine a Christmas without wreaths and garlands, twinkling fairy lights and depictions of Santa, snowmen and reindeer. Lights have moved from the living room throughout the house and are increasingly used, along with various decorations, outdoors. Christmas trees became commonplace sometime in the 19th Century and it’s now rare to find a home without one.